Every town has a background or some sort of story, and other fun facts! These interesting and exciting features help make Martin, TN one of the happiest towns in America! Sit back and enjoy this read as your mind is captivated and blown by the details that shape Martin! A current photograph of the University of Tennessee at Martin. · Martin is the largest city in Weakley County compared to the other five towns, in the our marvelous county. · The University of Tennessee at Martin ( UTM ) is stationed in Martin, but was initially named the Hall-Moody Institute, when it was built in 1900, and was the first advanced educational institution here! · The town was named after Captain William Martin. But only after being changed to Greenbriar Glade and, would you believe it,…Frost! Clearly those didn’t stick, and the town was renamed back to Martin, and this time it was official and concrete! · Our lovely town hosts the lively and mind-blowing Tennessee Soybean Festival every year, around September! Above is Pat Head Summitt going up for a lay-up. 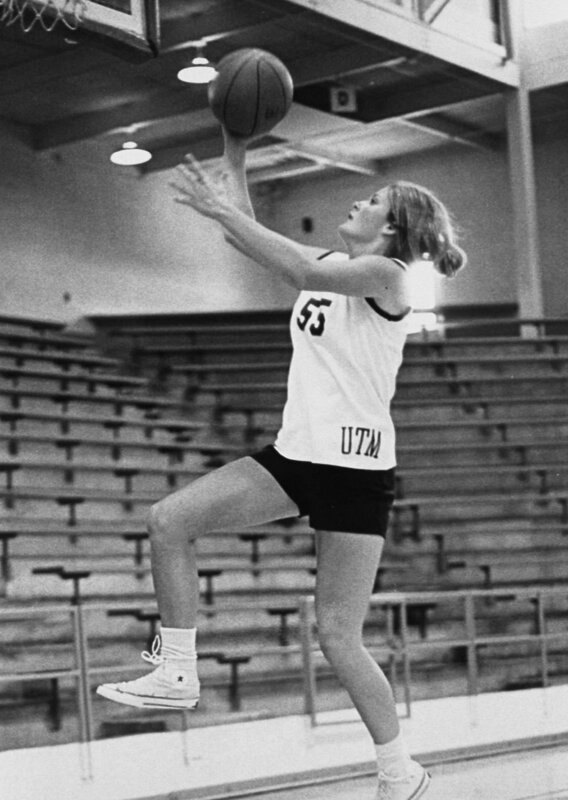 · The legend, Pat Head Summitt attended college and played basketball at UTM, from 1970-1974. After her collegiate career was over, she began coaching and became a well-known public figure, in the basketball world. The city even decided to name a road after Pat Summitt and it can be found by the Elam Center, on campus. · Martin provides awesome public schooling, but there is also a dedicated private school, Central Christian Academy. The academy offers some of the highest levels of education for the grades of pre-k through 8th! · Martin is able to maintain a healthy business environment by encouraging a free enterprise system. Meaning businesses are free from government control! Why wouldn’t you want to work here?? · There are 11 locally-owned restaurants in Martin! This includes but is not limited to fan favorites, Martin Coffeehouse, The Grind, and The Hearth! You can find a full list of Martin restaurants at Martin Eats!